An ELAN Home System can be as simple or as extensive as you want and can expand easily to meet your changing needs. Whether you’re designing your dream home or transforming the home you already live in and love. Take a few minutes to explore the many possibilities of Your World Made Simple with an ELAN Home System. A truly unique home entertainment experience. 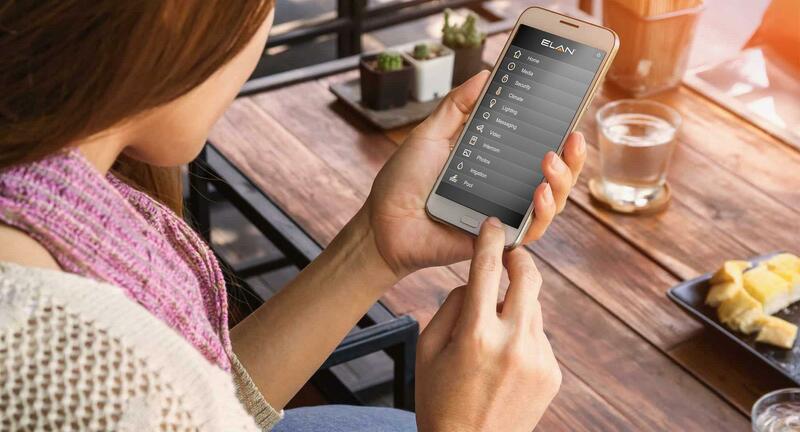 The possibilities of ELAN Home Systems are practically limitless, from the availability of media, from the Cloud or within your home, from the level of quality, both picture, and sound, and by the power of controlling it all from wherever you are, even away from home. Best in breed components, integrated seamlessly. Many Elan components come from our renowned sister brands from The Core Brands, including Niles, Sunfire and Speakercraft, and have been engineered to work together. In addition, ELAN partners with other best-in-class entertainment, climate, security, lighting and irrigation companies to make sure our products and their work together seamlessly. It is this proven integration that makes an ELAN System the reliable foundation of a Smart Home Control System. One easy-to-use interface, the same on every device. One of the most powerful ELAN advantages is our proprietary graphics interface, which is consistent on whatever control devices you choose, from ELAN remotes and touchscreens to iPhones, iPads and PCs. Easy installation by trained specialists. Performance A/V staff is highly trained and are fully Certified Elan Home Systems Integrators. We will help you plan, prepare your house and oversee the installation of your ELAN system, and help you upgrade in the future. Remote maintenance without a home visit. Proprietary ELAN technology allows us to perform most software maintenance and support functions without actually visiting your house. Your system is prepared for the future. Does a new arrival make you want to add a baby cam or pool cam to your video system? With ELAN, you can lay the foundation for future expansions that are quick, cost-efficient and non-disruptive.